The Adventures of Wild Bill Hickok – western TV show. The Adventures of Wild Bill Hickok. 112 episodes from 1951 – 1958. Starring Guy Madison and Andy Devine and Sam Flint. Originally airing from 1951 – 1958. Episode Guide for The Adventures of Wild Bill Hickok – western TV show. CLICK ON THE PHOTO TO GO TO The Adventures of Wild Bill Hickok – western TV show VIDEOS. 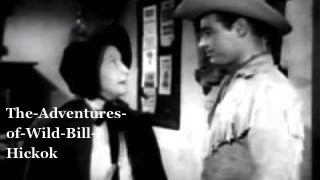 This entry was posted in The Adventures of Wild Bill Hickok – western TV show, Western TV Shows Full Length and Free to Watch Online and tagged complete, free, full length, online, series, shows, starring, The Adventures of Wild Bill Hickok, TV, watch, western TV show, westerns. Bookmark the permalink.